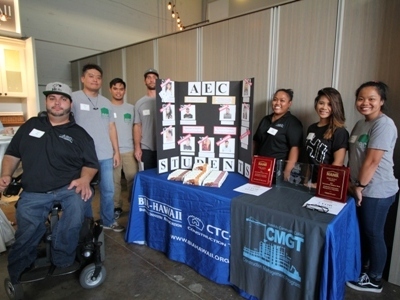 In 2011, Honolulu Community College chartered the first NAHB Student Chapter in Hawaii. As their local home builders association, BIA-Hawaii supports the student chapter by providing networking opportunities with member companies, connections for potential job opportunities, and valuable resources regarding the home building industry. By building a relationship with students at the community college level, education and career development are enhanced for future generations of leaders in residential construction and related fields. The NAHB Student Chapters Residential Construction Management Competition (RCMC) is one of the highlights of the annual International Builders’ Show. The competition gives students the opportunity to apply skills learned in the classroom to a real construction company by completing a management project/proposal. Proposals are submitted to a group of construction company executives who act as judges. During the convention, students defend their proposals to the judges in front of an audience. 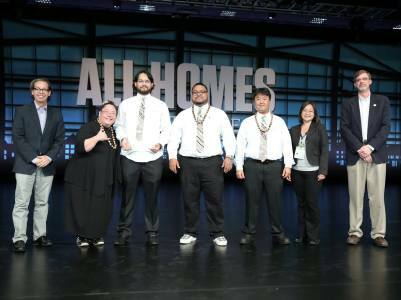 Congratulations to Honolulu Community College Team 1 & Team 2 for placing 2nd and 10th at the National Association of Home Builders (NAHB) International Builders Show in the Secondary School category at the International Residential Construction Management Competition in Orlando, Florida last week. Read the news story at the link below.